Daytona 500 winner Kurt Busch and will be there to watch his wife Ashley Busch play polo. So will Arizona Cardinals’ All-Pro Running Back David Johnson, And the greatest arm wrestler in the world, Travis Bagent, as seen on ESPN. They continue a long succession of hockey, baseball, basketball, television and business stars that love to enjoy all the Bentley Scottsdale Polo Championships have become. We hope you’ll be there November 11th and 12th to see them, and it. This year we’ll also have a lot of polo stars on site too, starting with perhaps the greatest American polo player of all-time, Mike Azzaro, who will be making his first appearance at the Polo Party. He’ll be playing for the defending champs from the Aspen Valley Polo Club, owned by Marc and Melissa Ganzi. The weekend will also feature some of Arizona’s best players, and Europe’s, including fan favorite Ricky Cooper, Captain of the Wales Polo Team. And there will be few better perches to enjoy the stars on and off the field than from the Talking Stick Resort & Casino Skybox. For the first time and thanks to Talking Stick the only second story element on site, located mid-field, will be accessible to all ticket holders. From there you’ll be able to take in the entire field of play, the beautiful backdrop of the McDowell Mountains and the fancy mallet work of the players as their finese make Stick & Ball like talking sticks. Only 12 days to go until “the best polo event in the world.” With some ticketing categories now sold out please get your preferred ticket, table or tent today at ThePoloParty.com. 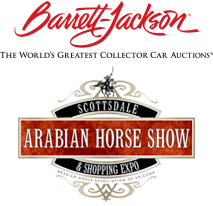 See you November 11th and 12th at WestWorld of Scottsdale!